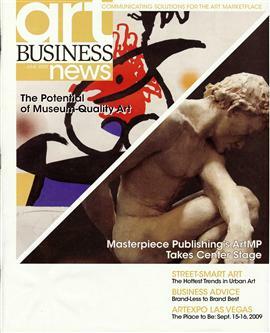 The following is excerpted from the June 2009 Art Business Magazine article featuring commentary by Miriam Smith, Art Resource Group founder and Manager. During these tough times, several difficult challenges face art galleries. Casual buyers, only wanting to decorate their homes or offices, might postpone their art purchases. Collectors who have lost money on stocks and other investments might become more difficult to sell to or even sell their existing art collections. Luckily, waiting for a resurgence of interest in new art is not a gallery’s only option. Several galleries have enjoyed success, both in their sales numbers and their credibility, by offering the works of museum-quality artists—meaning notable, documented Masters of various eras and movements who are represented in museums. “Handling the works of modern and old Masters has afforded us a wonderful opportunity to present quality works of art to our existing collectors, and we have also established new collector relationships through the promotion of these works,” says Miriam Smith, founder and head of Art Resource Group, Inc. in Newport Beach, Calif. “We promote regional masters, such as the California Impressionists’ works, mainly to our California clients, and we promote the modern Masters through advertising, international professional art Web sites and our own Web site. Read the full article by downloading the Related Document link on the left.